Prolong the brightness of red hair color with a color-safe system that nourishes without stripping. 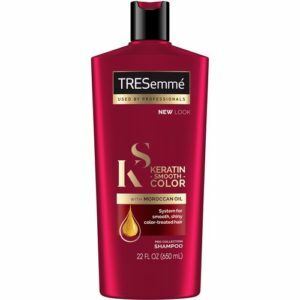 The keratin and Moroccan oil in TRESemmé Keratin Smooth Color Shampoo and Conditioner also head frizz off at the pass. 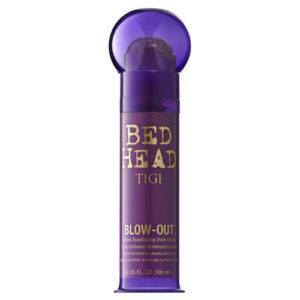 A shine-enhancing blowdry cream, like Bed Head by TIGI Blow Out Golden Illuminating Shine Cream, gives brown hair a luxurious gloss—and fights frizz and flyaways too. A spritz of Catwalk by TIGI Camera Ready Shine Spray before blowdrying helps my balayage pop even brighter. 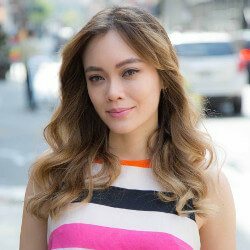 Eliminate the need to wash hair often by using a dry shampoo to refresh your scalp and absorb excess oil. Dove Refresh+Care Detox & Purify Dry Shampoo helps you extend your new color by maintaining freshness between wet-washing. 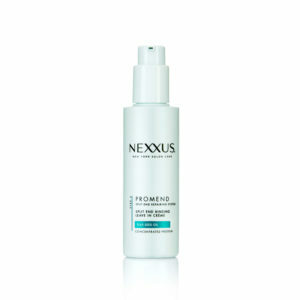 Applying Nexxus New York Salon Care Promend Targeted Leave-In Crème to split end-prone areas helps keep an ombré color looking fresh and dyed ends intact!